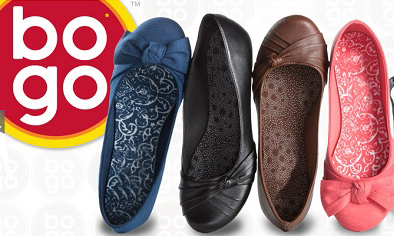 I went to Payless Shoes last weekend with several things in mind to buy, with a limited amount available to spend. I was able to purchase everything I need for less than what I had expected thanks to Payless’ BOGO program — BOGO being an acronym for buy-one, get-one. As a mother of two growing boys, I greatly appreciate any way to save a buck. I can buy one pair of shoes for full price and the other pair for half price. Who can beat that? In addition, they have already discounted items, which are not included in BOGO but help a person on a budget. On this occasion, I went to the store at Penn Park shopping center, 1413 W I-240 Service Rd. in Oklahoma City. This location had friendly and helpful staff. The employees were attentive and welcomed me as soon as I walked in the store, asking if I needed help finding anything. I was directed immediately to the items I was looking for and then was left alone to browse the store which I prefer. I am the kind of person who generally likes to be left alone when shopping unless I can’t find an item. I was able to browse unbothered at this location while knowing someone was around to help if i needed it. The store was clean and organized, no shoes lying on the floor or in the wrong boxes. It was easy to find the right sizes, thanks to the orderly condition of the store. If you are wanting to buy shoes, jewelry, or any accessories on a budget and don’t care about name brands, Payless Shoes is a good place to go for a great deal.